I can’t stop thinking about the sauerkraut. 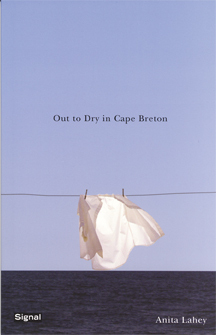 In last week’s entry I mentioned Alayna Munce’s novel When I Was Young & In My Prime (Nightwood Editions, 2005). Though I have been reading some poetry I keenly want to write about (specifically pieces in The Best Canadian Poetry in English 2012), I can’t yet shake When I Was Young. 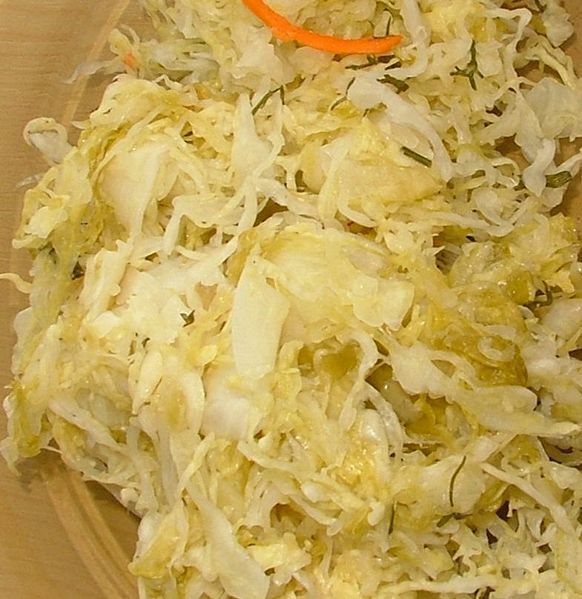 It lingers—I hesitate to say “like the smell from a crock of fermenting cabbage,” but that is kind of what I mean. In a good way. To recap, Munce’s book follows the narrator’s life in the city, where she works two jobs and struggles in her marriage. Meanwhile, her grandmother, Mary Friesen, recedes into an Alzheimer’s-fogged existence. Grandfather Peter also begins to decline. So, one narrative tracks the wobbly launch of a life, the other tracks the recession of two other lives, and the place where the novel finds its richness is where the two meet, in our narrator’s heart and mind. We are dealing with a narrator who is determined to not let her grandparents’ lives—or their suffering—slip away unstudied. Not unnoticed, but unstudied. She writes poem sequences based on fragments of their history. She extrapolates from old diary entries of her grandmother’s and slips into her mind, her voice, in a time before the narrator’s life began. She does the same with her grandfather. I’m not sure how Munce pulls this off. It might have come across as false, or too cute. Instead, we sink into the voices, while also remaining aware that this is only the narrator’s clumsy attempt to glimpse her grandparents’ secret lives. The tension between these two states of awareness, for the reader, is quietly effective. I suspect we’ve all looked at a close relation from a previous generation and thought, with a mixture of fascination and dismay: their life is a mystery to me. Because their tale is the precursor to our own, it’s also ours, and we yearn to know it. Munce gently steers her narrator into that usually impenetrable universe: someone else’s existence. It does not feel like invasion so much as homage, a rare empathy. Story being applied to one of its chief purposes, I daresay one of its chief obligations. The narrator’s effort to learn from her grandfather how to make sauerkraut—before it’s too late remains unspoken—calls forth vivid associations. Once, my cousins asked my maternal grandmother, Babci (our informal version of the Polish babcia), to teach them how to make pierogies. They arrived at her house on the appointed Saturday afternoon. They found the kitchen table laid out with rows of meticulously trimmed ovals of dough. They found bowls brimming with fillings: potato-and-cheese, sauerkraut-mushroom, meat. Their job: to place a dollop of filling into the centre of each round of dough, fold the dough over and pinch it closed. Pierogy assembly. We still laugh about this, but the incident also troubles me. Did Babci not believe they truly wanted to learn? Did she not want to give up her secrets? In my thirties, I told this same grandmother that I’d begun to study Polish—a language none of my 16 cousins spoke either, so which, in a single generation, had disappeared. She said, “Why you want speak Polish?” She waved a hand dismissively. “Polish difficult language. You soon forget.” I wanted to say, so I can ask you more questions, better questions, and understand the answers. So I can get a glimpse of how a Polish mind, trained by a whole other system of grammar, works. How it feels to use my mouth in a Polish way, to make Polish sounds. Because I’m half-Polish, I wanted to say, and since you and I talk in broken English, since Polish—which I’ve heard spoken around me my entire life—sounds to me like garbled mutterings, I hardly know what being half-Polish means. I started too late: my Polish (it is a difficult language) did not progress quickly enough. Babci died in 2006. (I wrote a Lives Lived piece about her for the Globe and Mail. You can read it here.) Now her thoughts about so many things—as well as her particular technique for pierogy preparation—exist somewhere out of time, out of my reach. I read this and feel a resurgence of a kind of faith. I ask myself where it’s been. What has happened in my life—and in my craft as a writer—to make me forget that the main thing is to take note? That behind everything we do, this one imperative: pay attention. Maybe I lose faith sometimes because the impulse to “pay attention” is often followed in my mind by: Okay, then what? Is it possible that in choosing to observe—meticulously, unsparingly—we avoid a duty to act? We shy away from a meaningful, useful response? I finished reading When I Was Young a few days before the 19th anniversary of my Polish grandfather’s death. He died November 5, 1993. Various hospital stays punctuated his later years. Once my sister and I went to visit him in the Henderson, the hospital on the Hamilton mountain, an old building that back then had narrow, stuffy, yellow hallways. (It may still; I have not been back.) When we were saying goodbye, he sat up in bed, watery eyes wide and bright, and said, “I’m go with you. I’m no stay.” He pointed to a knapsack one of us held. “I’m fit in bag.” He grinned. He was joking, but he wasn’t. We held back tears, kissed him—three times each, cheek after cheek, the Polish way—and squeezed his mottled hand and walked out of the room, down the suffocating hallways, back outdoors, squinting into the daylight. Sometimes action is beside the point. We couldn’t rescue our grandfather from his hospital bed or from his failing body. We could note his struggle, and carry it with us, along with all the other things about him that we remembered and knew. This is what we mean by paying attention. It’s what I mean. And then what? I don’t know. But we have to let the sauerkraut ferment, let the stench work its way into our noses.